My Journey to Health … Inside & Out! Some people do yoga. Some people meditate. 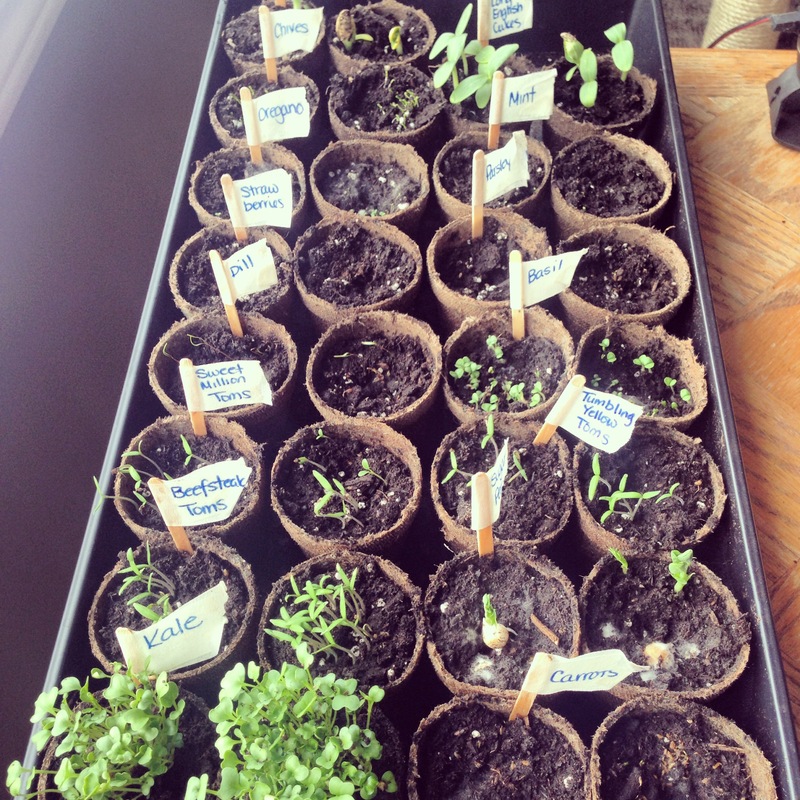 I spend time with my green babies! I have 32 house plants and 15 garden plants. I love the peace I get taking the time with my plants. Just with human babies, I have a hard time picking my favourite! 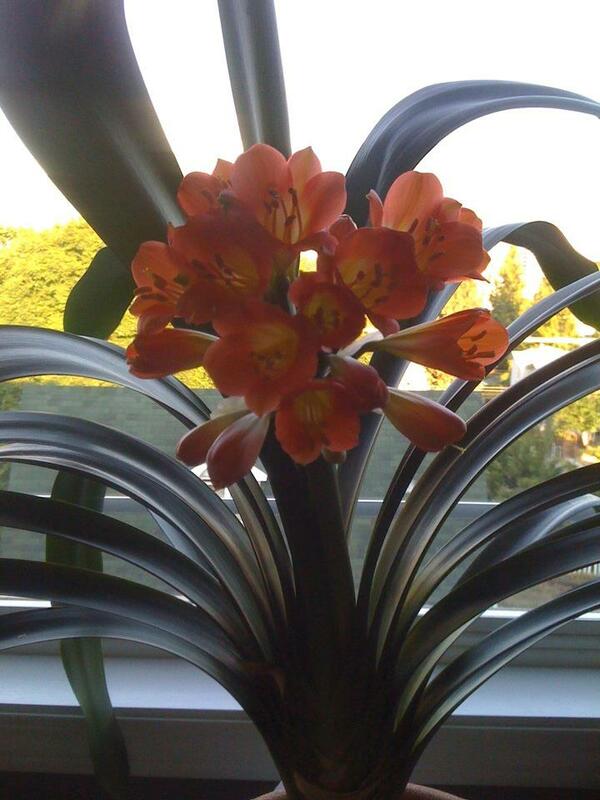 I’ve got a Clivia plant that I got from my Mom 2 years ago when I bought my condo. It blooms every year around June/July and the flower (1 only) is amazing! That year after blooming, my clivia plant started to show babies growing, too! I ended up with the Mom plant and 3 plantlings in the same pot. I did some research as to when and how to remove the babies. 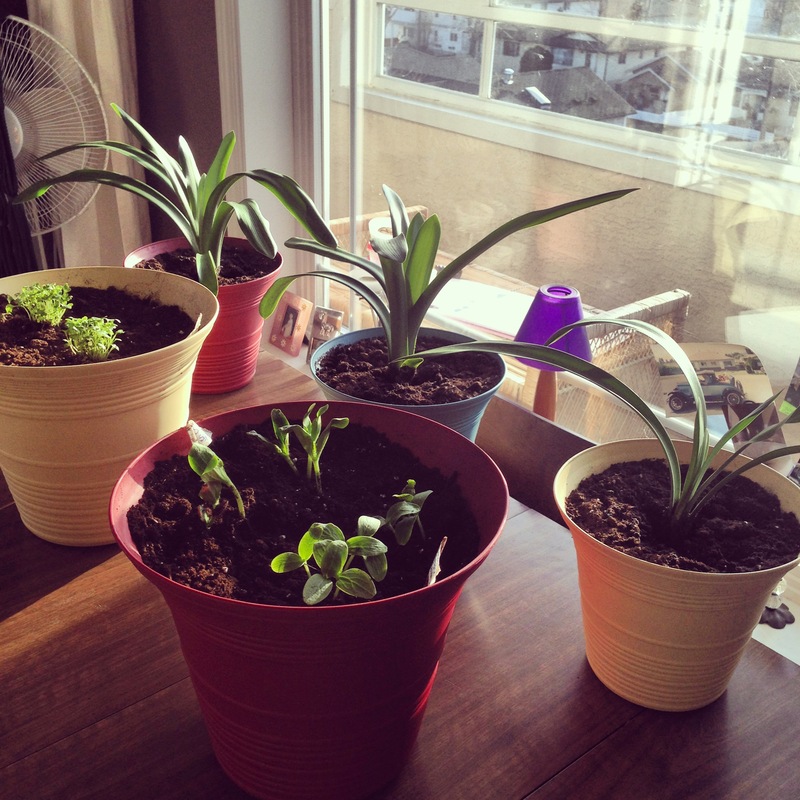 Last weekend I did the job and got my 3 babies cut away from the Mom and into their own pots. 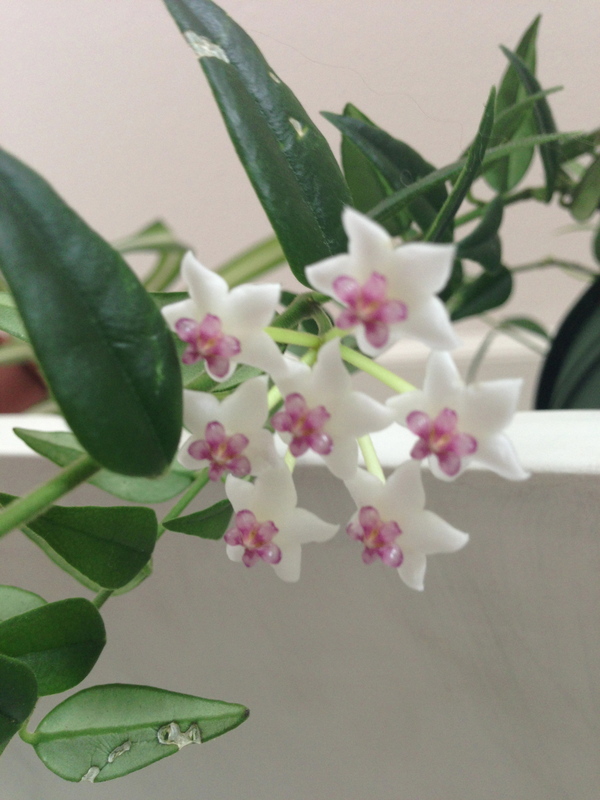 I’ve also got this plant and I’m not sure of the name but the flowers it produces are also amazing! As for my garden plants, last year I tried tomatoes for the first time on my patio (it’s a glass-enclosed patio … so pretty much like a solarium!) and they did fantastic! 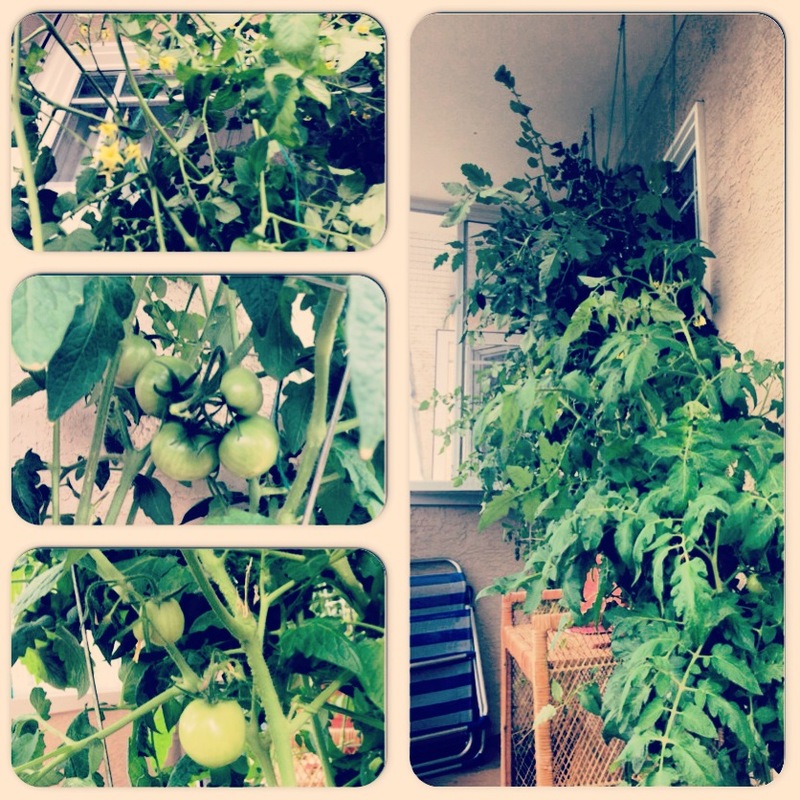 I planted the 5 variety of seeds late so I had tomatoes growing and getting ripe until mid-November! At their peak, they were taller than me (5’6″)!!! 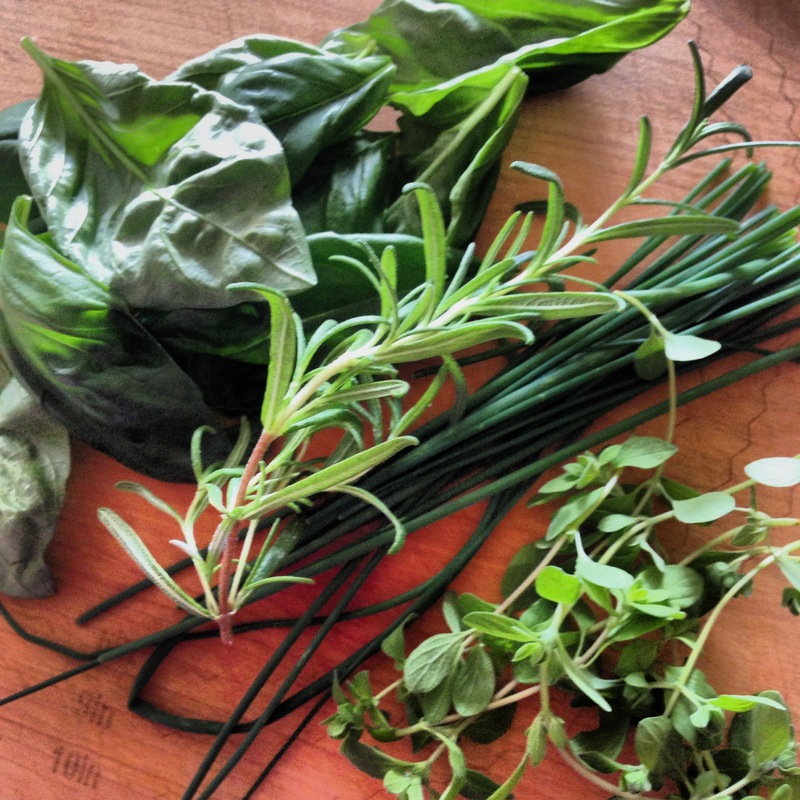 I also bought some quite mature herb plants from the farmers market and had some great fresh herbs for the summer, but I neglected them in the fall and they have since passed on. Ok, back to this year’s garden variety!!! Yup – I’m trying a LOT of things this year! The above picture represents Day 1. The above picture represents Day 8. The above picture represents Day 15. I am absolutely ASTONISHED at how well these have grown!!! 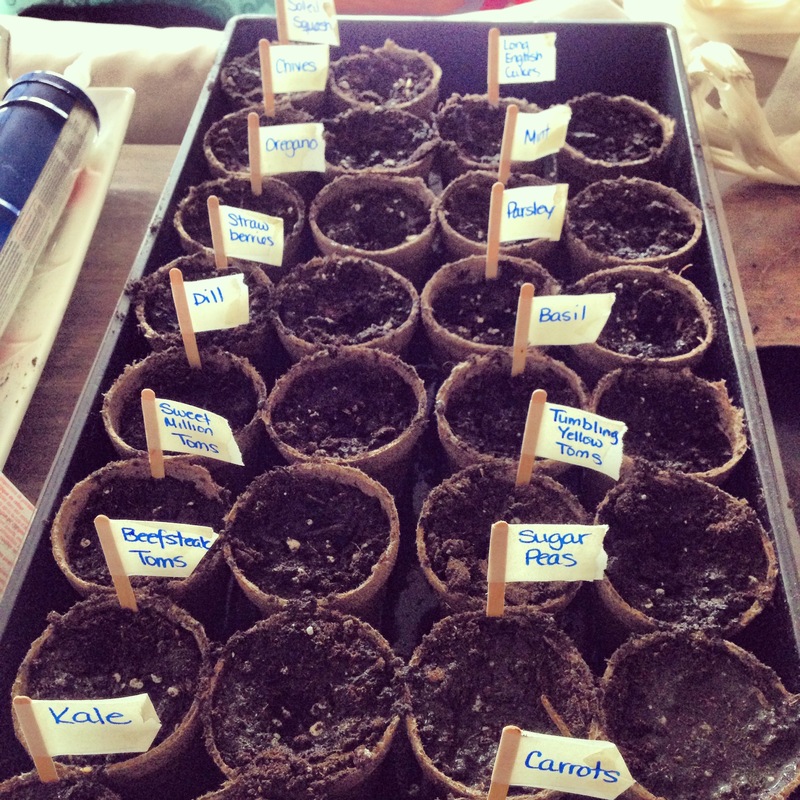 This year I used a little plastic “green house” container so that the seeds would take and grow … and grow they did! I just transplanted my kale, cucumber and zucchini today as they can’t grow much more with the lid on, but the other small produce still needs the lid. 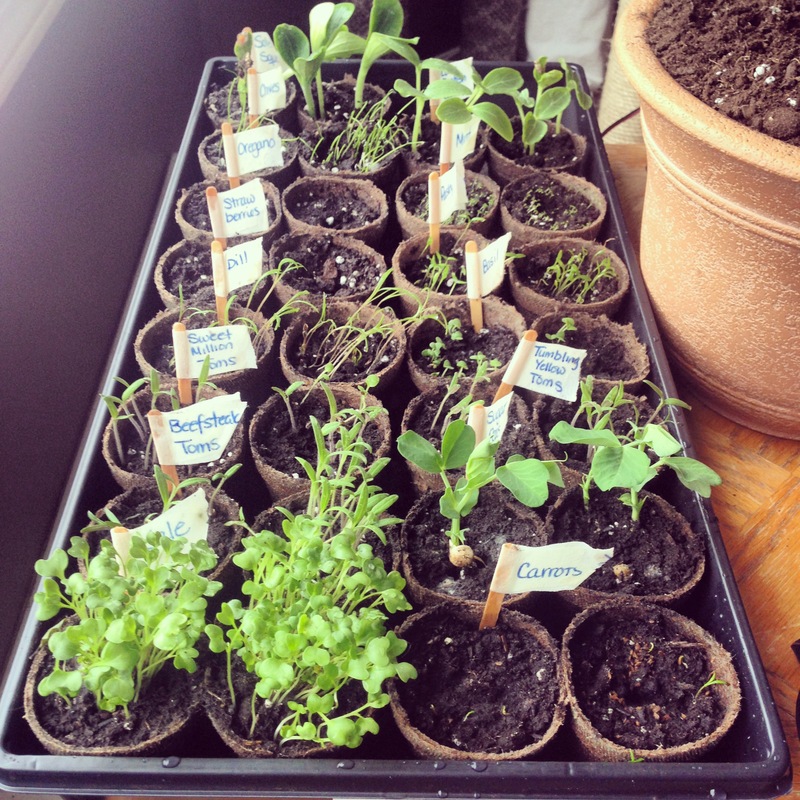 I probably could have transplanted the peas too, as they are getting tall … but I’ll give them another few days to a week. 21 days until I go see Florida Georgia Line with 2 good friends. This morning I got dressed in a nice longish (below my knees) white skirt, with a turquoise blue cami and a black ¾ sleeve shirt. Darn – it looked GREAT together! The colours were fantastic for spring! I sat down to open my computer and RRRIIIPPP!!! A seam popped … grreeeaaattt, what seam!? Luckily it was only the inside lining of the skirt, but what if an actual skirt seam pops while I’m at work!? No thank you! So off with the skirt and on with pants – again! Back to the 21 days. I had, at the beginning of the year, said I wanted to get a little more fit (I don’t really like to say “lose weight” but that’s what it is) before the concert. Well … somehow it’s must have been opposite day when I said that! I’ve put on up some extra pounds, up to an amount that literally ashames and disgusts me. I’m 220 lbs. My clothes don’t fit. I had to buy new bigger jeans that don’t hurt my waist. I see the weight in my face. Any my stomach is HUGE! What did I change that caused this!? I have never been super active, and that hasn’t changed. I did stop juicing and tried to eat produce instead … maybe that’s it!? It’s now tax season (I work for an accounting firm) and my days are long. It makes getting out for a walk or going to the gym THAT much harder because I’ve already put in 10 – 11 hours at the office! I won a free 7-day trial with U Weight Loss and although I highly doubt I’ll extend past the free week, they do complete a full health assessment which I’m looking forward to. I don’t think I’ll like the results, but it will be good to have an actually starting point! But my appointment isn’t until April 5th. So until then, I guess it’s up to me … just like it’ll still be up to me after I see them! Any suggestions for activities, healthy vegan meals, etc. are more than welcome – please comment! Yet another beautiful day in the Sunny Okanagan! It was somewhere near 13 degrees today! Saturday I walked to the Penticton Trade & Convention Centre to check out the Healthy Living Fair. From there I walked to Canadian Tire to pick up some silicone, a caulking gun and seeds to start my patio garden. After C.Tire, I walked home. All in all, it was about 1 hour 15 minutes + of walking! Sunday I walked the 10 minutes to church and after service I walked downtown then down and back the length of Lakeshore Drive (about 2 km each length). Monday I came home and grabbed my bike and took a ride down Lakeshore Drive and back. My legs were absolute JELL-O by the time I got up the hill to get home! Today I took the long way home and walked up Vancouver Hill, then took the Kettle Valley Railway path home. It added 10 minutes to my 5 minute walk home, but it was highly up-hill and I absolutely felt the burn! I haven’t been to the gym since a week ago today, but I’m getting out and doing some sort of activity each day! March 9th 2014 marked the end of day light savings … for this winter, at least! Here we are with gorgeous weather and the start of March! The sun stays up until almost 6:30 pm and it was seriously over night that the weather changed! It was cold last week and it was 17 degrees yesterday! After work today I came home, changed clothes and took my bike out for a ride. I was only gone about 30 minutes, but my legs are jello!!! It’s amazing how different the ride is from a bicycle vs. a stationary bike!